In my last post, I mentioned that as a new writer, I have not yet written anything worth publishing. My mother quickly brought to my attention that I have, in fact, written something which has been published. 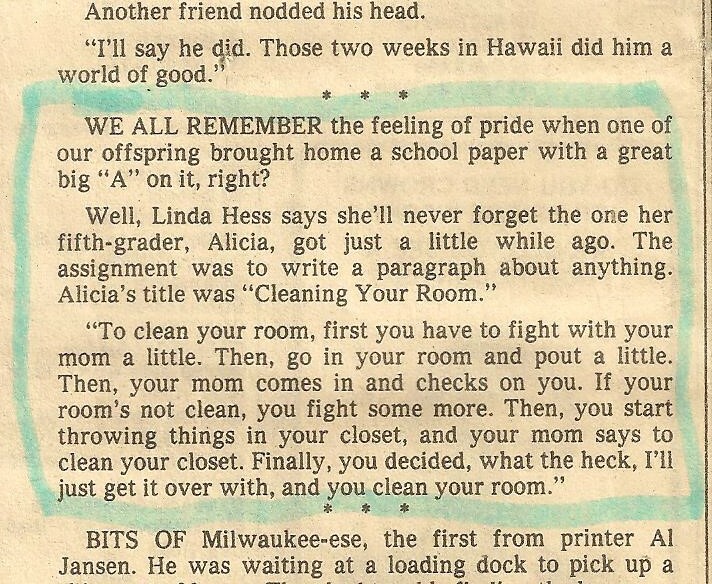 It was a 5th grade school assignment where we could write a paragraph about anything. Little did my poor Mother know at the time, that my need for “independence” would only increase as I hit my teenage years. Let’s just say, I pushed my limits back then, crossed a line or two, and made some “interesting” choices, for the sake of having a little bit of independence. Now, as I read this old article, all I think about is that my daughter is mini-me, I have been in this exact same situation with her several times, and from what I hear about Karma, I’ve got some “interesting” teenage years ahead of me!